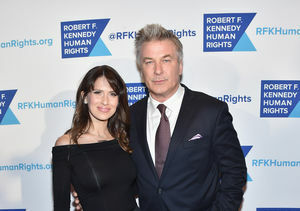 Hilaria Baldwin, 33, posted a sizzling makeout session with hubby Alec Baldwin, 59, via Instagram Stories — but it's okay, Alec specifically asked her to! Eight years into their relationship, the couple — married for five years — still can't keep their hands off of each other, doing a little kissing at a recent outdoor event. 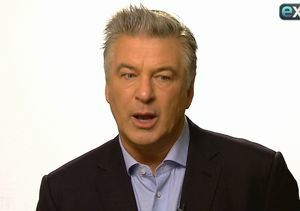 When Hilaria shared video of the passionate smooching, People magazine reports she explained via caption, "Alec wants me to post this." The red-hot couple are parents to Carmen Gabriela, 3; Rafael Thomas, 2; and Leonardo Angel Charles, 9 months.